Rwanda Is Missing 15 Years Of Weather Data. Now There's An Innovative Effort To Recoup It : Goats and Soda Rwanda is missing 15 years of weather data. Getting it back would be a boon for farmers. But can it be done? 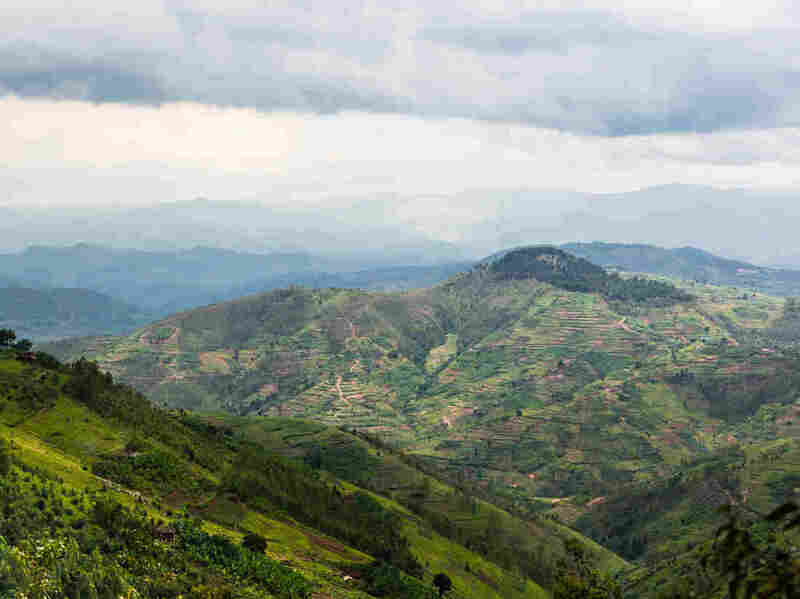 Rwanda is known as "le pays des milles collines" -- the land of a thousand hills. Weather varies by altitude; for farmers, detailed forecasts can make a huge difference. "That period was totally lost," says Didace Musoni, a top official at Rwanda's meterological agency. "It is data that will never, never, never be recovered." Or will it? Now there's an innovative effort to piece it together. Rwandan officials inspect equipment at a weather observation station. To understand why the recovery effort could prove a game-changer, it helps to rewind to the period just before the genocide. 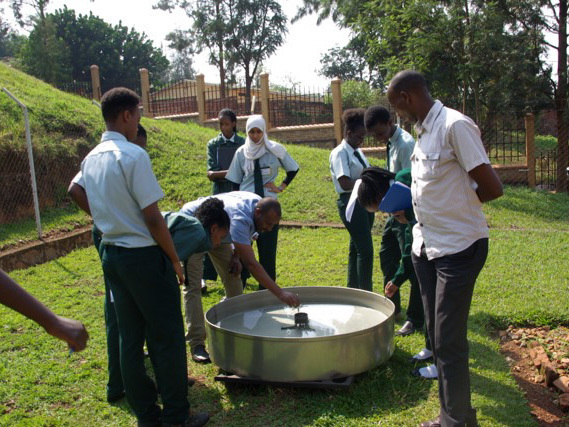 Rwanda relied on a network of about 100 volunteers to record its weather information — ordinary people such as teachers and church leaders, who every day would write down the measurements collected at small outdoor observation stations. Picture a white box on stilts surrounded by a wire fence, with a thermometer and a gauge for measuring rainfall inside. After the war ended in 1994 Musoni was charged with resurrecting Rwanda's weather agency. He took a series of trips through the countryside to check on the stations and was disheartened by what he saw. "Many of these stations had been abandoned," he says. "The fencing would be torn. Instruments were destroyed." As for the volunteers who had manned the stations, many had been murdered in the genocide. Most of the rest had fled. Musoni recalls a few cases of heroic station volunteers who came forward to deliver data they'd managed to collect during the war. A farmer in western Rwanda prepares her bean field for the growing season. "We had people walking long distances to bring the data to us." They included a teenage girl whose father had been a volunteer. He had been killed. But she'd kept his reports and she offered to continue his work. Musoni says he'll never forget the day she showed up. "It was very, very moving, you know?" But for the most part Musoni had to reassemble the station network from scratch — recruiting and training new observers and replacing instruments. And all this at a time the new government was struggling to rebuild the entire country. Weather stations weren't exactly a priority. So it wasn't until around 2010 that Rwanda finally got all of them back in operation. Enter Tufa Dinku. He's a climate scientist at Columbia University's International Research Institute for Climate and Society. For years he's run a program to help countries in Africa improve their climate tracking services. He started with Ethiopia, then Tanzania. Two years ago, he turned his attention to Rwanda. He says initially, he found the 15-year-gap in weather information daunting. "My first reaction was, 'It cannot be this bad.' So I went back to the data and then I said, 'Wow. This is true. It's really this bad.'" But Dinku was determined to find a solution because the consequences of the missing data are serious — and not just for regular forecasting. Take El Nino, the ocean warming phenomenon that crops up every few years and alters world weather patterns. In East Africa it can mean lots of extra rainfall leading to flooding and surges in diseases linked to mosquitoes. The world is currently in the midst of one of the biggest El Nino's on record. To prepare, governments have been consulting the record to see where the effects hit hardest during the last big one, which was in 1997. But in Rwanda, notes Dinku, "I mean, what do you do? There is no reference." So Dinku decided to figure out how to build a substitute data record from alternate sources. It took a combination of creativity and perseverance. He estimated rainfall using satellite imagery, temperature by working with computer models. Late last year, Dinku completed the new data set. He's still perfecting it. But a fellow research scientist at Columbia, Jim Hansen, is already putting it to use. Hansen is now working with Rwanda's government on a ground-breaking system for using the new data to create detailed seasonal forecasts for small farmers. The idea is to give them information at the start of every season that can help with make-or-break decisions such as, what types of crops to plant or how much to invest in fertilizer. 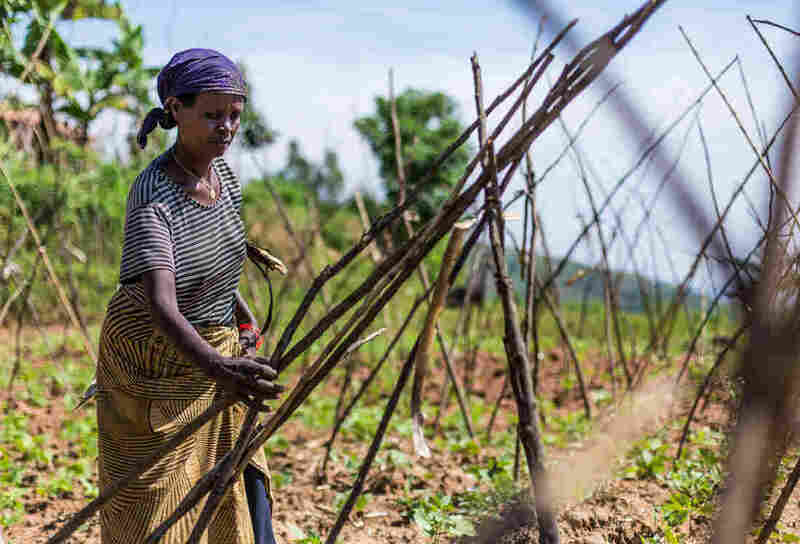 Soon, predicts Hansen, Rwanda's weather forecasting setup could go from worst case scenario to a model for even wealthier countries to emulate.